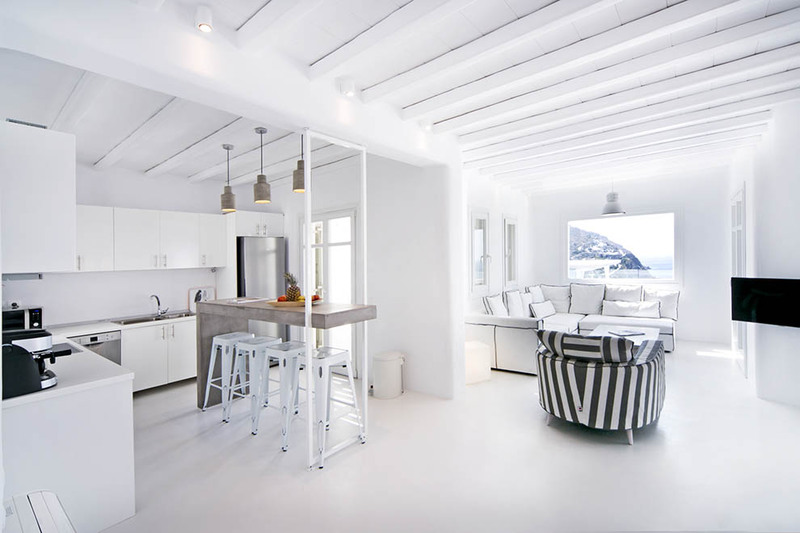 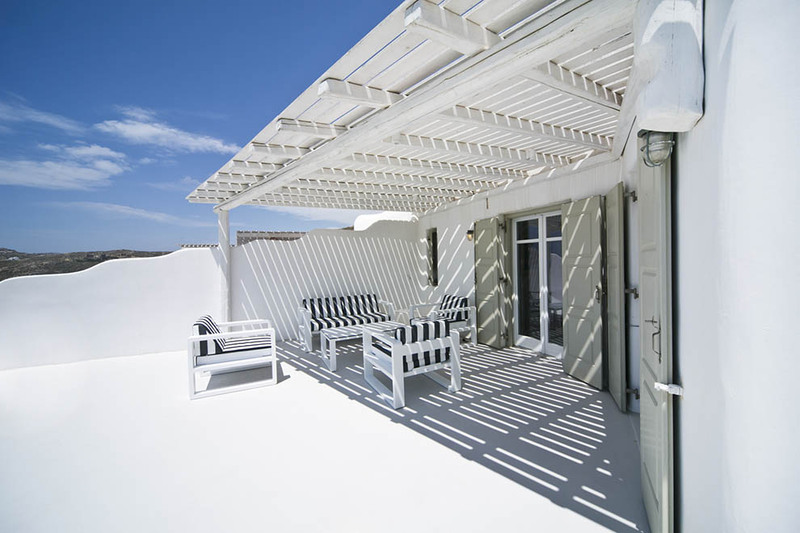 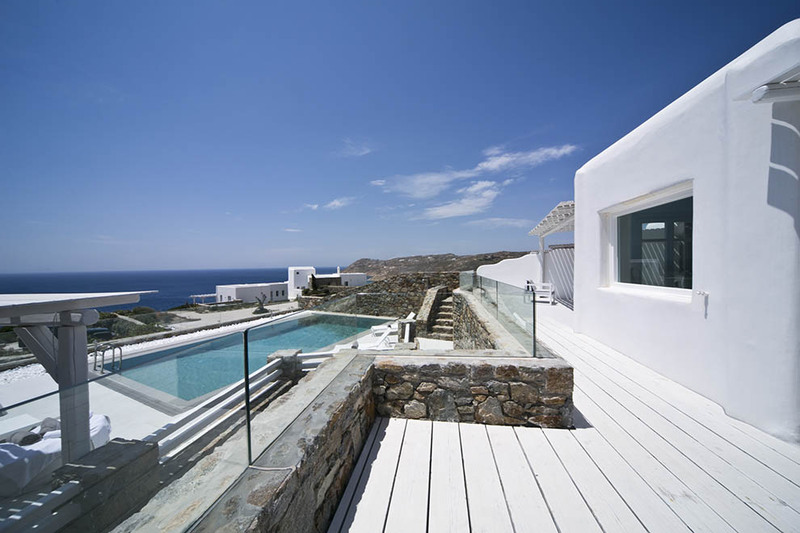 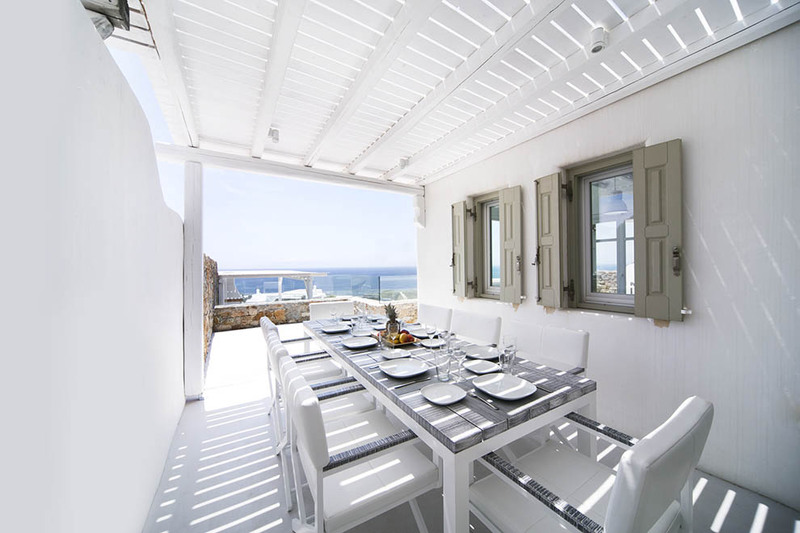 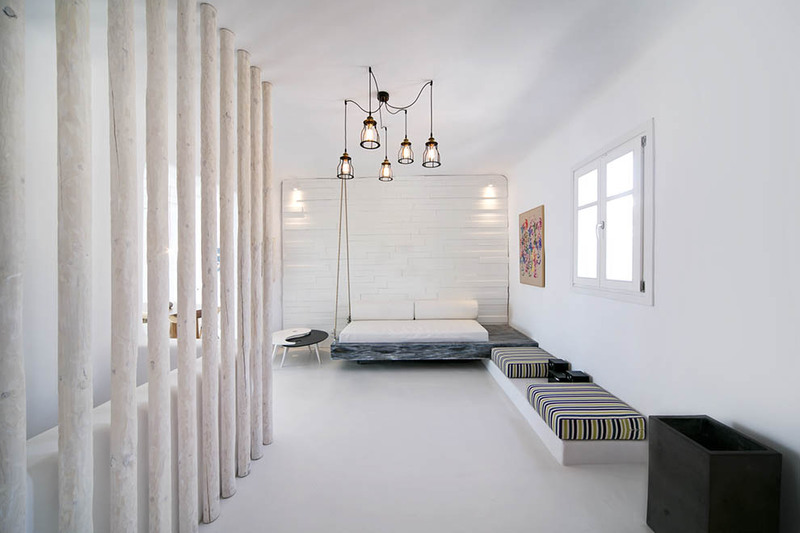 The amazing villa Ambrosia is located at the southern part of the island of Mykonos, just above the beautiful Elia gulf. 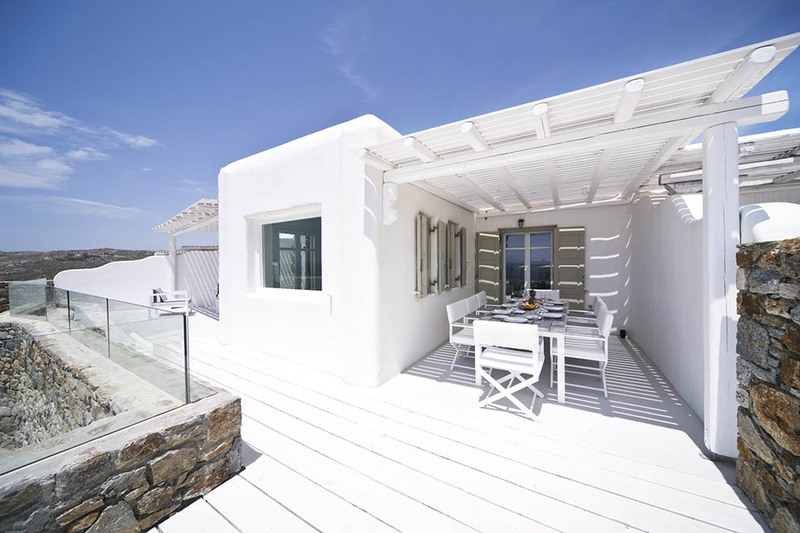 Only a few minutes of drive will separate you from the magnificent Elia beach that is perfect for fun moments and thrilling water sport experiences. 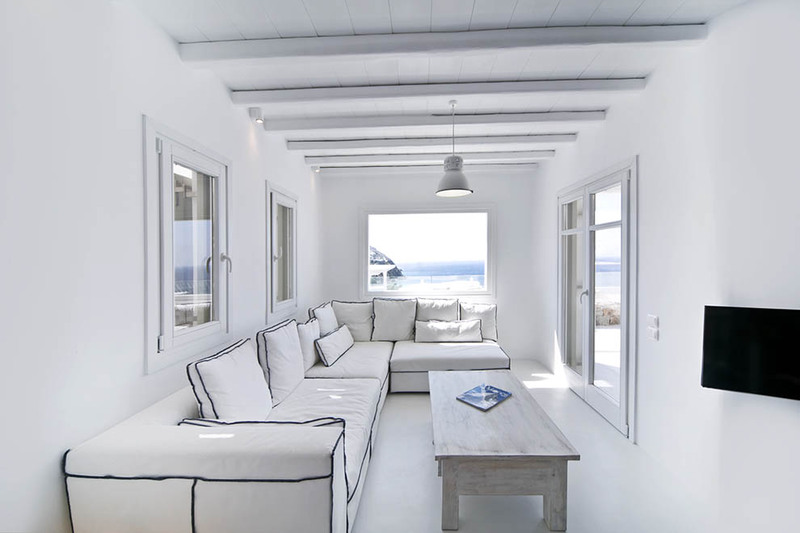 The villa’s view towards the turquoise water of the sea, the clear blue sky and the colorful sunsets of Mykonos will definitely steal your heart. 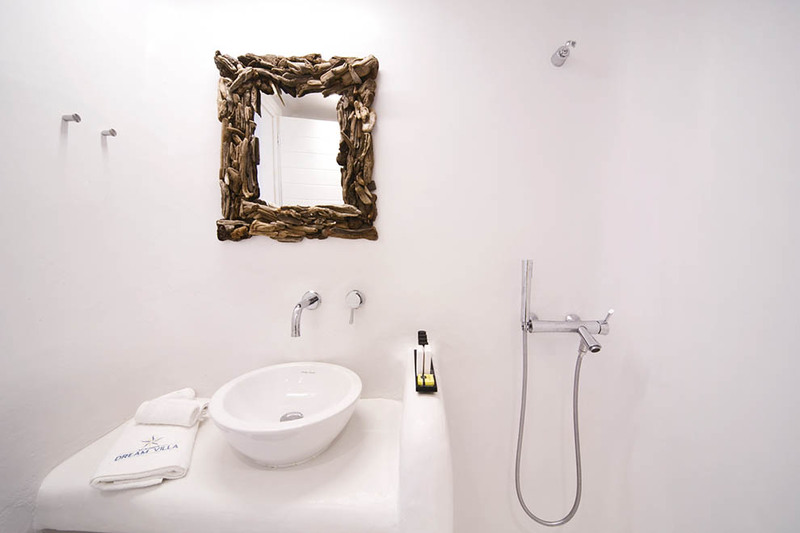 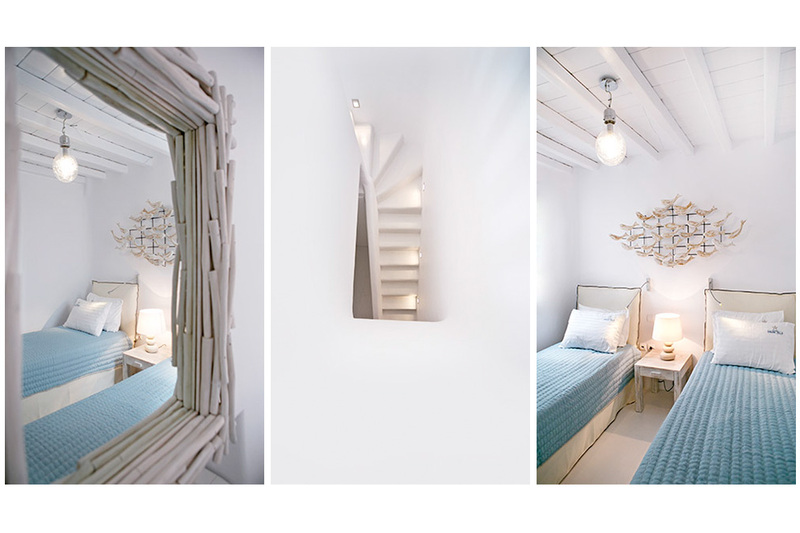 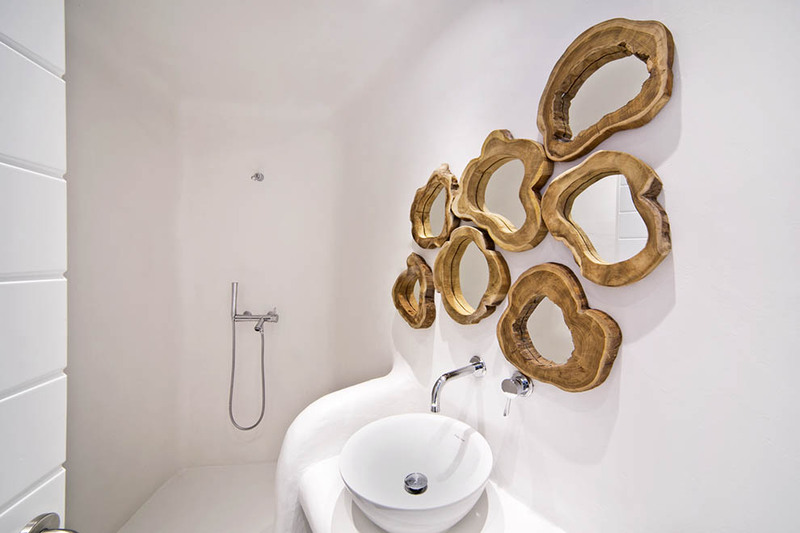 A true passion for design is evident at villa Ambrosia The traditional Cycladic architecture is perfectly combined with a modern and minimal decoration and impeccable furnishing. 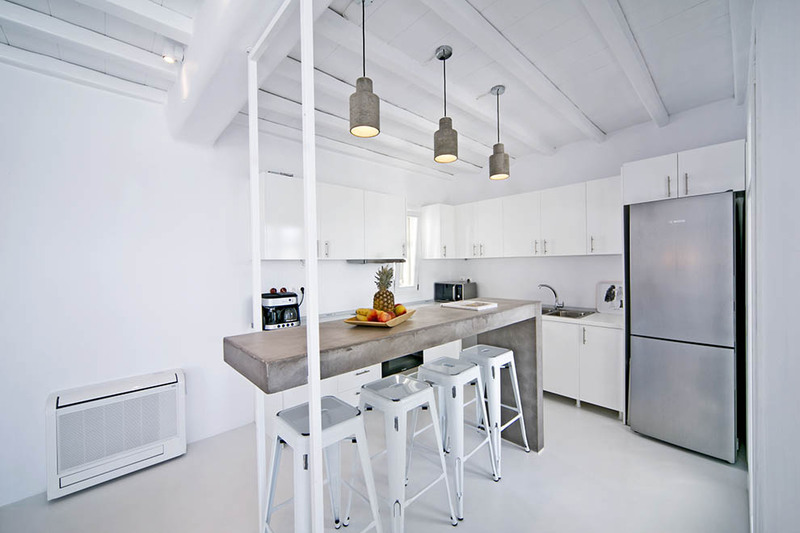 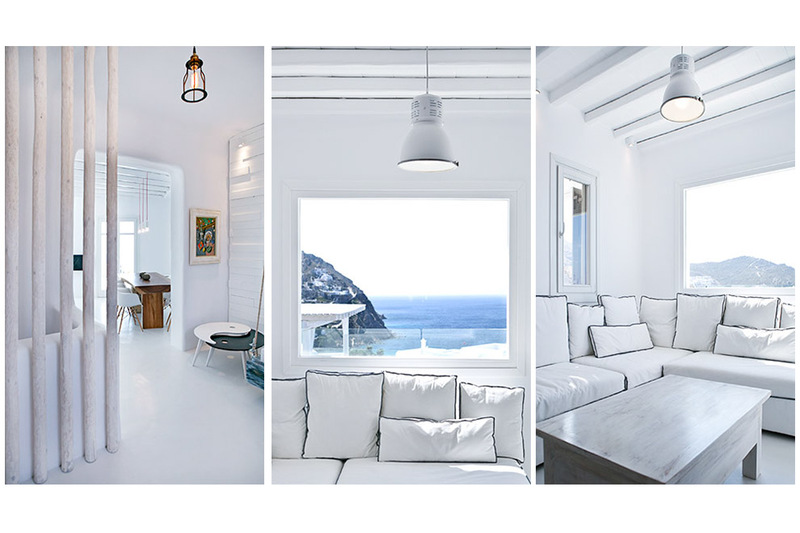 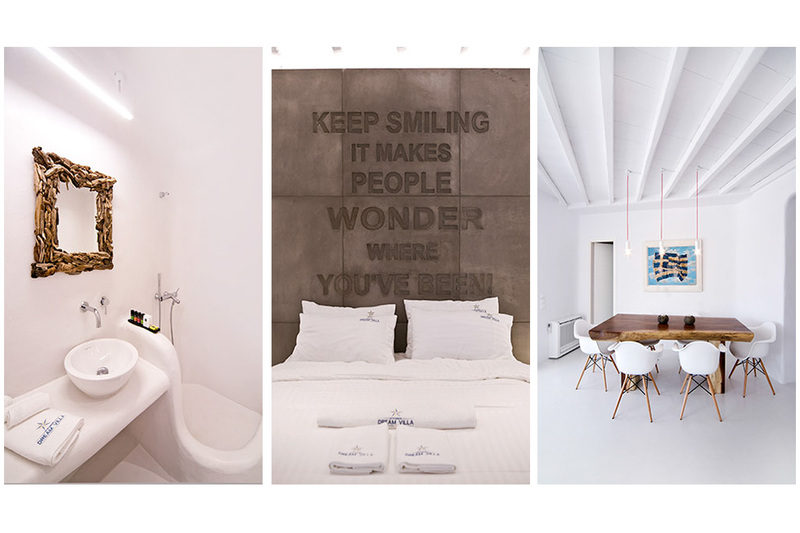 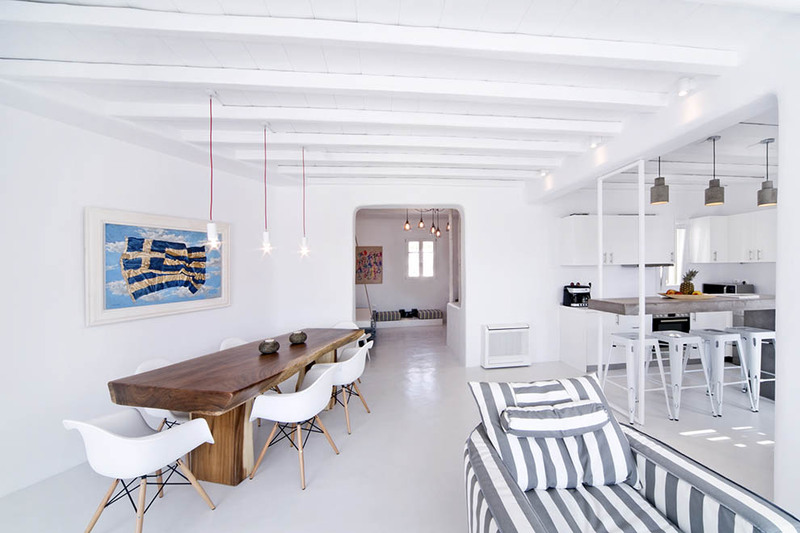 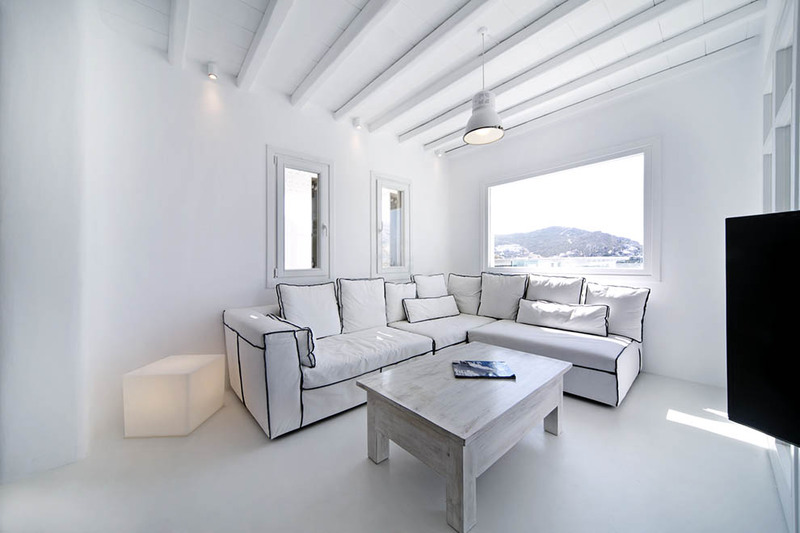 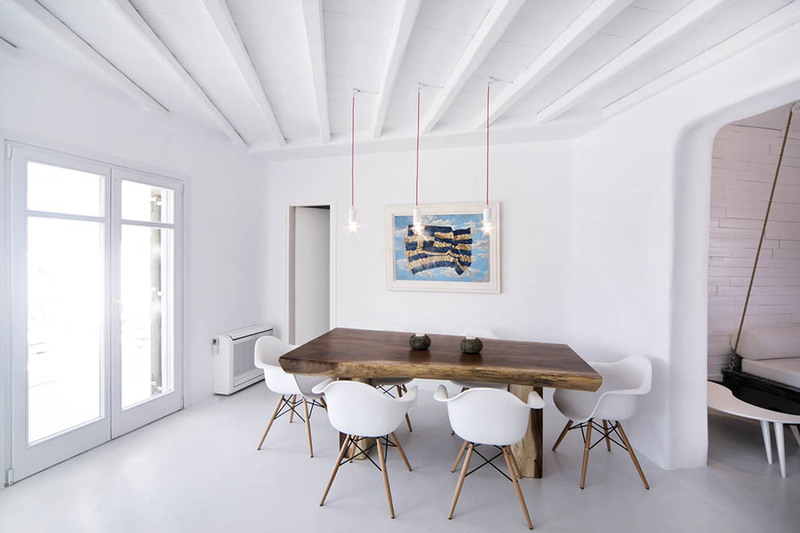 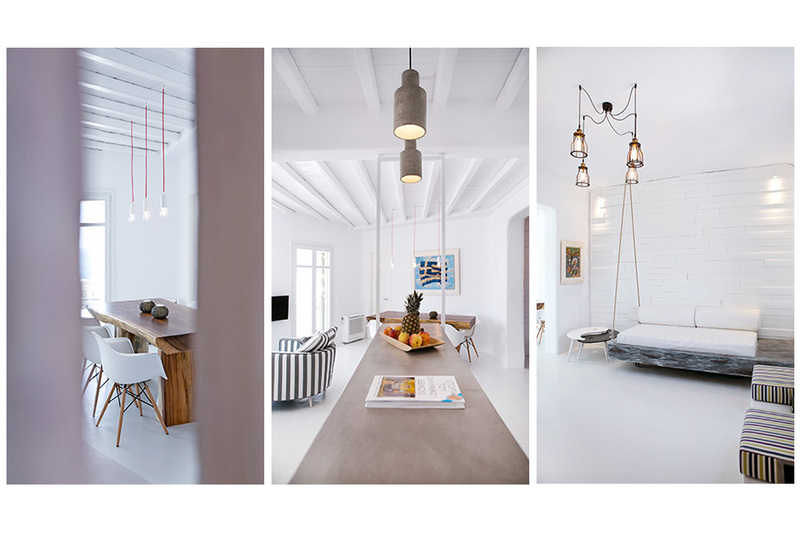 The color white dominates, with some colorful hints that are mostly revolving around natural tones. 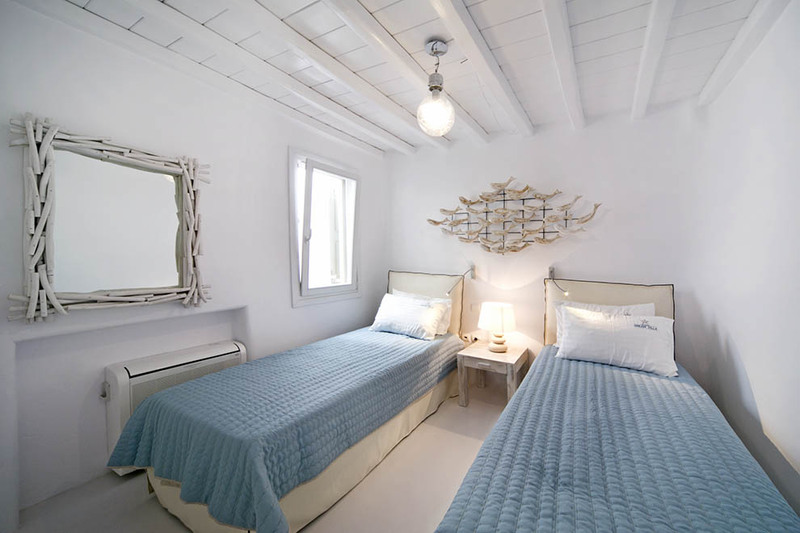 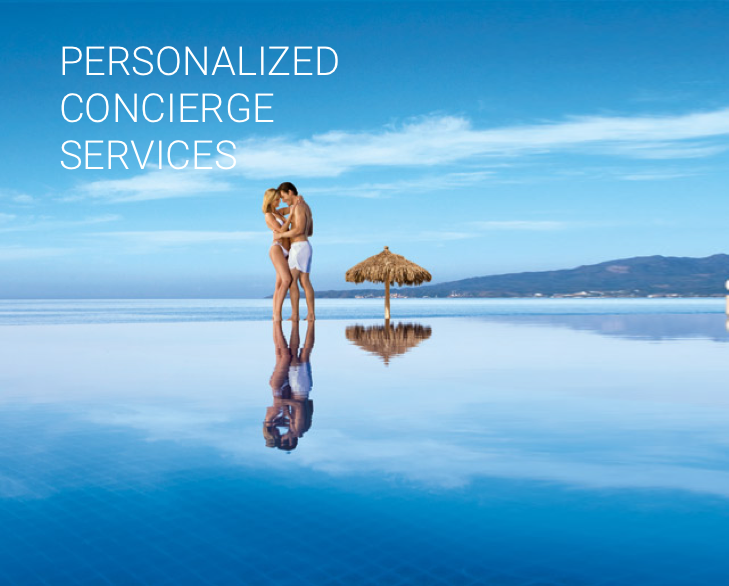 For those who want to enjoy their vacation in a stylish property that is close to a stunning beach with water sports for extra fun, Vvilla Ambrosia is the perfect choice for you.